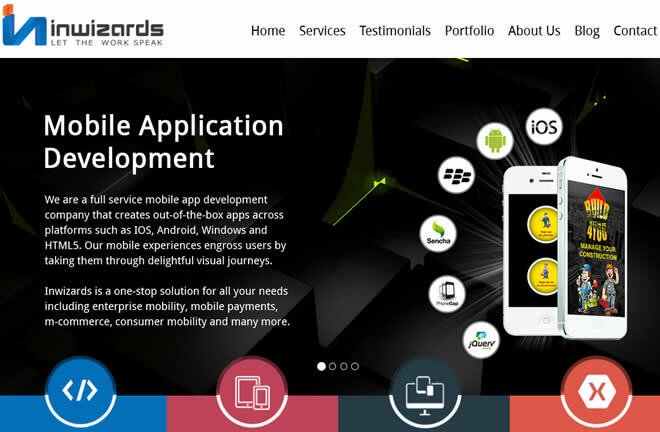 Inwizards is a leading company of Offshore Software Development company. We work on various platforms for web Apps and mobile app development. Services provide by us on technologies are Android, iOS, .Net, Php, WordPress, Joomla, Angularjs, Mongodb, Nodejs, Titanium, Sencha Touch etc, Our developers are well versed with these technologies and have years of experience in software development.